A very nice Yamaha U3H, 131cm Japanese piano has just arrived and gone onto the floor. 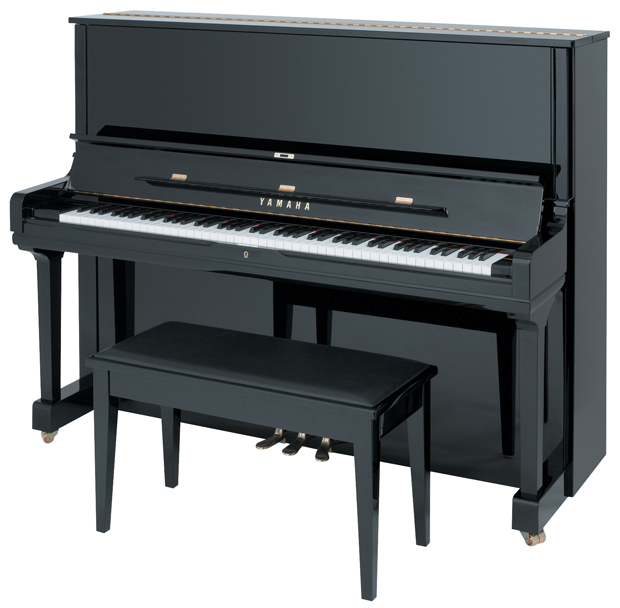 A Popular model amongst Yamaha enthusiasts… perfect for any person wanting a Yamaha Piano. One of the superior models with a very smooth rich tone. The U3 is a popular model amongst Yamaha enthusiasts… one of the superior models with a very smooth rich tone. Yamaha Pianos are sort after and well recognized, world wide for their strong reliability and performance. The Yamaha is a consistent piano, in its performance and in its tone. They have a strong action and were made of good quality materials. The Yamaha factory people pride themselves on good workmanship. Perfect for a Beginner or Experienced players , Yamaha pianos give guaranteed performance when maintained and tuned regularly. The Yamaha U3 Pianos are 131cm high Pianos. They have larger soundboards because of their height which allows the piano to give you more volume than a smaller piano. They have longer Bass Strings which gives a richer tone in the bass end of the piano. The Pianos have a Centre Pedal, known as a Practice Pedal or Mute Pedal, which allows for practice playing in a quieter way in the family home. Our pianos are tuned and ready for your home when they leave our store for delivery. Comes with a Duet stool with storage. We give 1 year warranty and include piano delivery in the metropolitan area. These 2 pianos at this fantastic price do not have Terms payment available on them. Should you be in the Country region of Western Australia, we will negotiate to deliver the piano to you. Call us to find out more information and to organize to come in to the store at 79 Belgravia Street, Belmont, and have a look or a play. Our hours are Monday to Friday 8.30am to 3.30pm or Saturday 9am to 12 noon.